If you happened to miss Saturday’s “Strikeforce: Rockhold vs. Jardine” event, no worries because Showtime has released the video highlights for your viewing pleasure. The night started off a tad slow, with several scraps going to the judges’ scorecards, but the last three fights picked up the slack by ending in spectacular fashion. 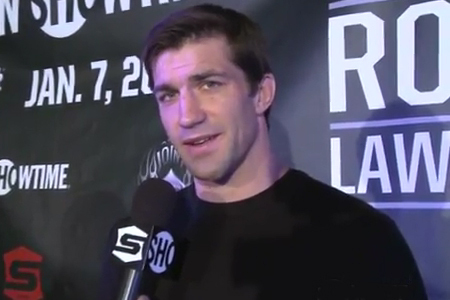 Middleweight champion Luke Rockhold (Pictured) laid the lumber on Keith Jardine to retain his crown in the card’s featured contest. The Joint at Hard Rock Hotel & Casino in Las Vegas, Nevada hosted the show.